These books can be found on the shelves at the call numbers listed. "This book highlights the variety of ways in which sociology brings about social change in community settings, assists nonprofit and social service organizations in their work, and influences policy at the local, regional, and national levels." Includes health information for many countries, and other worldwide health and disease information. Some helpful information from the Education liaison Librarian. Articles, some peer-reviewed, across all disciplines. Articles for nursing and health. Consumer Health Complete (CHC) is a comprehensive resource for consumer-oriented health content, including full text from many health reference books and encyclopedias and thousands of health reports as well as physician-generated videos and hundreds of medical images and diagrams. CHC provides content covering all areas of health and wellness from mainstream medicine to the many perspectives of complementary, holistic, and integrated medicine. This full-text database covers topics such as aging, cancer, diabetes, drugs and alcohol, fitness, nutrition and dietetics, children's health, men and women's health, and more. Cumulative Index for Nursing and Allied Health. Includes fulltext articles. Sociology journals. Especially helpful if you are interested in the social aspects of health and disease. 19th edition, 2011; The topics in this reference book are updated regularly to add the latest clinical information. Each topic page displays the date it was last reviewed and revised. "Organised into three main themes: the politics of provision; setting priorities; and patients and professionals. " These electronic books can be accessed through the links below. More like them can be found by searching the Library online catalog. "A goal of all physical activity health promotion advocates is to increase the opportunity for citizens to live active, healthy lives. Understanding the immense role physical activity plays in human health is critical to shaping programs and policies that will benefit the population. This volume catalogs the latest research and provides a window into future possibilities for creating healthier communities." The indoor environment affects occupants' health and comfort. Poor environmental conditions and indoor contaminants are estimated to cost the U.S. economy tens of billions of dollars a year in exacerbation of illnesses like asthma, allergic symptoms, and subsequent lost productivity. How we address the challenges of the twenty-first century and improve the health of the public depends on the quality and preparedness of our public health workforce. "A pioneering study,How Cancer Crossed the Color Line documents how race and gender became central motifs in the birth of cancer awareness, how patterns and perceptions changed over time, and how the "war on cancer" continues to be waged along the color line." "The book assists readers in applying basic epidemiological methods to measure health outcomes, identifying risk factors for a negative outcome, and evaluating health interventions and health services." Presents a "practice in context" framework which is then applied in thirty-one casebook chapters, covering a great variety of health care settings from working with survivors of domestic violence through supporting people with HIV to services for military personnel. In this book George Annas employs contemporary disputes involving death and disaster to explore the radical changes underway in public health practice, the application of constitutional law to medicine, and human rights discourse to promote health and wellbeing. 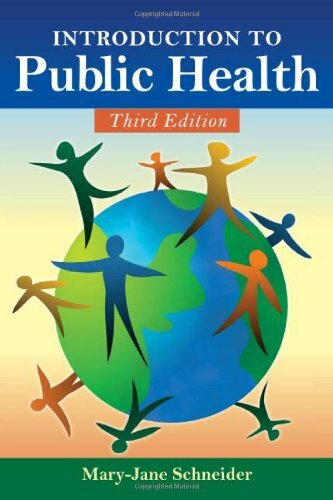 This book identifies the tools and strategies of public health practice; surveillance and screening, early identification, preventive interventions, health promotion and community action; and their application to twenty-first century public mental health policy and practice."